White Night. White-Hot Fashion for a Good Cause. 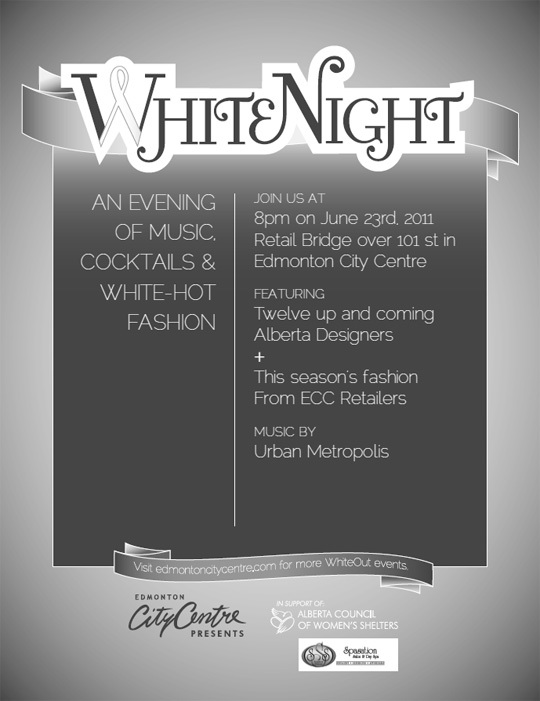 Some of your favourite Edmonton designers will be premiering their most creative designs at City Centre Mall's White Night next Thursday evening. Twelve designers including Nomin Gantumur and Genette Salgado, have put their imaginations to the test to create garments inspired by the White Ribbon, the symbol for the fight against domestic violence.